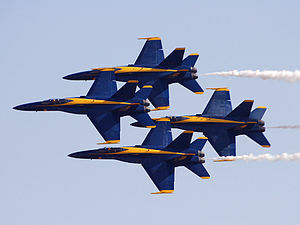 More than 20 billets with the Blue Angels ground team are open across the aviation community for the 2015 season, reports The Navy Times. Enlisted personnel usually serve three to four years with the unit which seeks “integrity, professionalism, the ability to communicate.” The latter of those skills sets is as important for the ground crew as anyone else on the team, emphasize members of the team. The 2014 season begins in March. .Among the branches anticipating a JSF stealth fighter, only naval aviation continues to debate the merits of the F-35 costs, reports Aviation Week. Boeing contends billions of dollars of savings by sticking with its F/A-18E/F Super Hornet, but Aviation Week disputes the savings when the Super Hornet and the F-35C at the same stages of each aircraft’s life cycle. Nevertheless, the Navy’s strategies for the next air war are well advanced and emphasize integrated data links connecting every unit within the carrier strike group—in the air, on the surface, or under water, reports USNI News. Warfare use of drones is declining, reports NextGov. Since the president’s third day in office, Jan. 23, 2009, there have been 2,400 deaths from unmanned aircraft strikes, more than 10 percent civilians according to The Bureau of Investigative Journalism. The use is declining, according to the Long War Journal, which compares 28 drones strikes in Pakistan in 2013 to a high of 117 in 2010; in Yemen the high was in 2012 with 41 strikes compared with 26 in 2013. Turkey appears on the brink of committing to building its own jet fighter, amid speculation the move would cut into the number of F-35s it will purchase, reports Defense News. Britain is expected to order 14 of the F-35 B vertical take-off variant of the JSF, reports Reuters, the first purchase since committing in 2012 to buying 48 planes. So far the UK has taken delivery of three training jets. Surprising even Lockheed officials, the United Arab Emirates is seeking 30 of the company’s F-16. The Washington Business Journal’s Jill Aitoro reports that the Pentagon agency handling sales to foreign allies has made the announcement of the sale potentially worth $270 million, but a Lockheed spokesman said the company was unaware of the announcement and no deal had been made. Later this month Canadian defense and aerospace companies will host an open forum webinar discussion about the F-35 program and its benefits in the wake of a successful first flight of the Textron Airland Scorpion fighter jet, coming it at a cost of $20 million per aircraft, reports The Ottawa Citizen. The JSF price estimates in Canada range from $70 to $125 million apiece. Credit Suisse gives a neutral rating while raising estimates on Lockheed Martin’s stock increasing while The Street rates the stocks a Buy for multiple strengths including “solid stock price performance, growth in earnings per share, increase in net income and notable return on equity,” which outweigh “generally high debt management risk.” The news surrounds a 4 percent profit drop reported in Lockheed’s 4th quarter, dropping stock shares by 14 percent from a year ago. Bloomberg News reports, the company hopes 2014 “is the bottoming out” of the federal budget cuts blamed for the drop in sales, said Lockheed’s CFO. The Pentagon’s chief weapons tester, reporting on the F-35, called the JSF’s software “unacceptable,” reports Reuter about a 25-page draft of the report. The findings threaten to push back the 2015 delivery date of the Marine’s version of the JSF. Congress included $75 million in its omnibus bill passed last week for 22 Super Hornets that the Navy didn’t request. as a hedge against delays of the JSF. The House Appropriations Defense subcommittee endorsed the funding as a prod to the Navy to determine whether to commit another $2 billion to the Super Hornet fighters, reports the St. Louis Post Dispatch. The decision could allow Boeing, maker of the Super Hornet, to keep open its St. Louis-based production line beyond 2016. SecDef Chuck Hagel ordered a full review of the US nuclear program, citing “[p]ersonnel failures … [that] threaten … the trust the American people have placed in us to keep our nuclear weapons safe and secure,” reports Military Times. An international review is needed as well, according to a three-year study by the Pentagon concluding that US intelligence agencies are not able to detect foreign nuclear developments and suggesting terrorist detection techniques developed by the National Security Agency should be directed toward nuclear surveillance, reports The New York Times. Lexington Park based AVIAN will assist the Patuxent River Naval Air Museum Association to develop and present the displays slated for the new museum building back under construction next to Gate 1 of NAS:Pax River, reports The Baynet. The New York Times reports that Russia will leave it up to Edward Snowden if he wishes to stay, implying the temporary provision of his asylum will be lifted. Mr. Snowden fled the US after disclosing classified NSA documents and received temporary asylum in Russia for one year in August 2013, reports The Hill. L-3 Corp. Systems West, Salt Lake City, Utah, is being awarded a $17, 611,443 modification to a previously awarded indefinite-delivery, indefinite-quantity contract (N00019-13-D-0001) for supplies and services associated with Surface Terminal Equipment for Hawklink Tactical Common Data Link (TCDL) and the Littoral Combat Ship configurations, and the Vortex Mini-TCDL Shipset components. These supplies and services are in support of the Vertical Take-off and Landing Unmanned Aerial Vehicle Fire Scout MQ-8B/8C. Work will be performed in Salt Lake City, Utah (90 percent), Point Mugu, Calif. (5 percent), and the Patuxent River Naval Air Station, Md., (5 percent), and is expected to be completed in December 2014. No funds are being obligated at time of award. Funds will be obligated on individual delivery orders as they are issued. 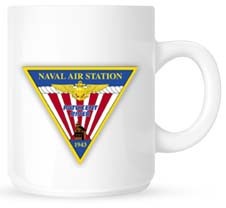 The Naval Air Systems Command, Patuxent River, Md., is the contracting activity.